Size: Varies greatly according to breed. 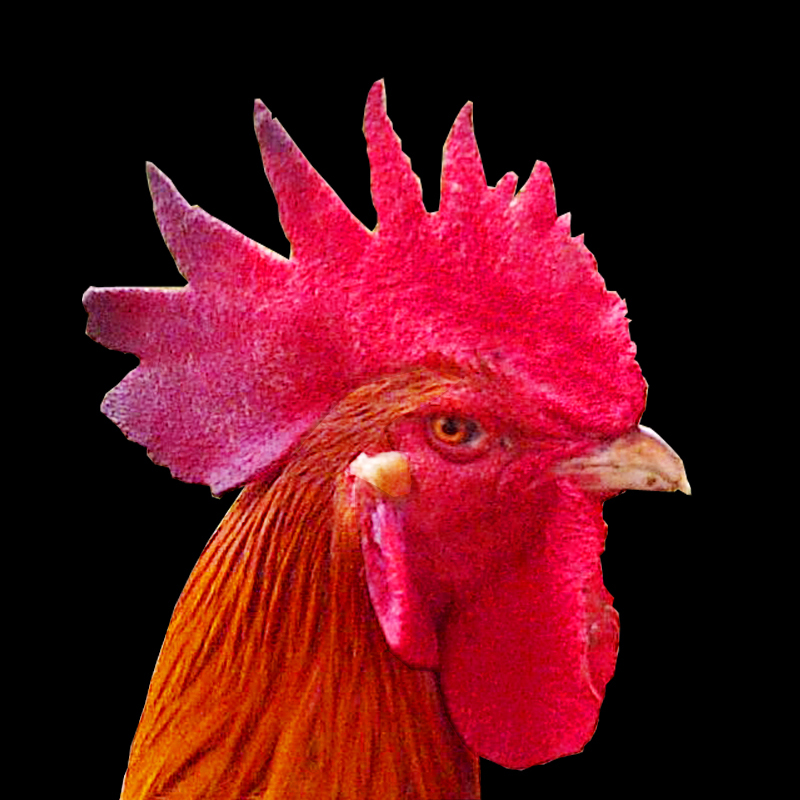 Sizes listed are for an average breed, the Rhode Island Red. Sexual dimorphism: Males larger, with longer legs and more pronounced combs and waddles. Physical Description: Chickens are medium sized fowl with small heads, large bodies, bare and scaled legs. They often have fleshy protrusions from the face, called waddles and combs. They have small beaks and relatively short wings for their body weight. Coloration: Coloration can vary greatly from breed to breed. Geographic range- worldwide, domesticated. 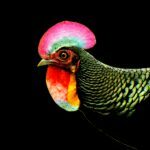 Descended from the wild red jungle fowl of Southeast Asia. Preferred Habitat- Highly adaptable. Chickens do not need much space or habitat, as long as they have adequate food and water. Omnivorous: Eats seeds, grain, and other plants. They also eat insects and other invertebrates. Occasionally they will eat larger prey such as small reptiles and rodents. 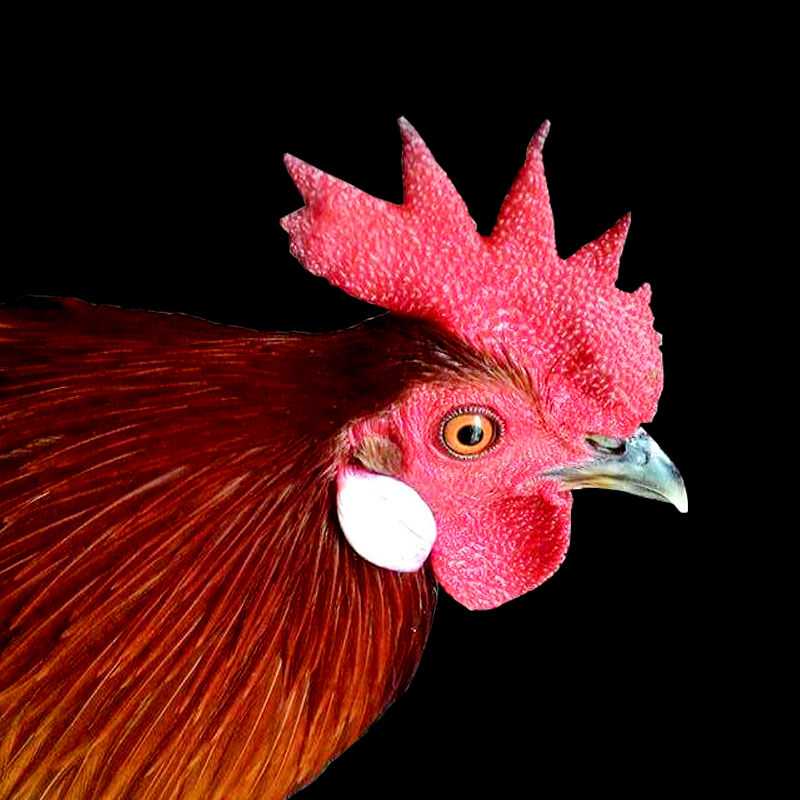 Chicken’s eyes are located on the side of their head to help them detect predators. 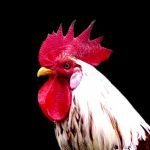 Males have sharp pointed growths, called spurs, on their legs between the knee and ankle used in combat over females – wild jungle fowl, an ancestor of the domestic chicken, may fight to the death over a female. 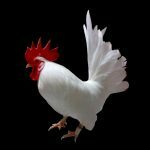 Most domestic chickens have lost the ability to fly for any distance – although they still have the hollow bones and air sacs that allow other birds to fly, most chickens are too large and heavy to travel very far. 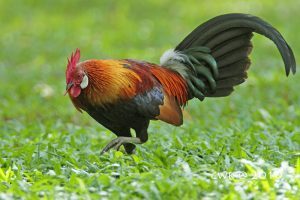 Roosters will crow (produce a shrill call) to alert other males about their territory. Hens will cluck after laying an egg and also use this vocalization to gather their chicks. The typical natural lifespan of a chicken can range from 5-12 years. 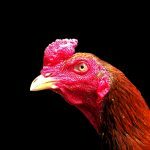 Predators: Aside from humans consuming them for food, chickens can be preyed upon by foxes, coyotes, birds of prey, and other predators around the world. Since they cannot fly very well (if at all), they make relatively easy targets for predators. Role/ Niche: As a livestock animal, chickens provide humans with food from their eggs and meat. Their feathers are also sometimes used for various purposes. 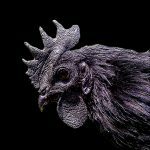 Behavior: In courtship displays, male jungle fowl droop one wing and tilt their head, mantle, and back toward the hen to display their most colorful parts– domestic roosters behave similarly. Litter/ Offspring: average of 12 eggs laid over 14 days if left to breed naturally. Can vary greatly depending on breed and age of the chicken. Maturation: Chicks are fully feathered at about 4-5 weeks. They reach independence at approximately 12 weeks old, and are reproductively mature at 5 months old. 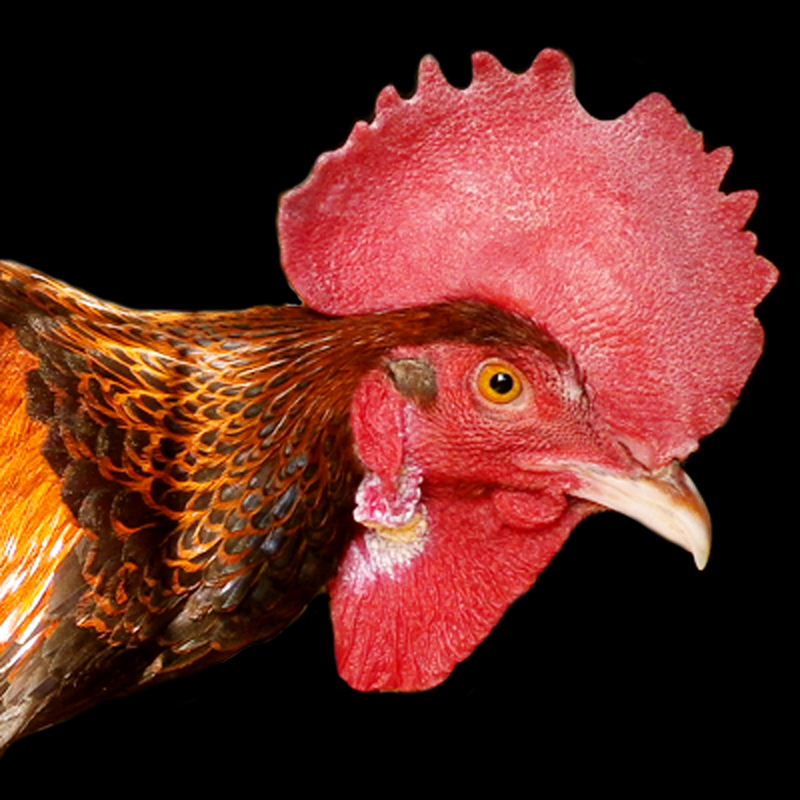 There are more chickens in the world than any other species of bird. It is estimated that there are more than 24 billion individuals living on the earth. 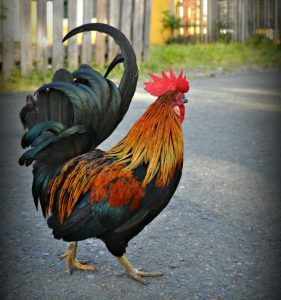 Jungle fowl were originally domesticated for their fighting ability, not for eggs or meat – the practice still exists today, although cockfighting is against the law in 47 of the 50 United States.